WASHINGTON -- A strategic partnership with Uzbekistan and further reforms under President Shavkat Mirziyoyev are what Washington hopes to see in Central Asia's most populous country. Mirziyoyev, whose ambitious reforms have touched everything from health care to national security to education to the economy, conferred with US President Donald Trump in the White House Wednesday (May 16). Trump said the two countries have been working closely together on a number of fronts, while Mirziyoyev thanked the United States for its ceaseless support of Uzbekistan, according to a White House transcript. Mirziyoyev was in Washington for his first official visit to the United States May 15-17, eight months after visiting New York last September. During that earlier trip, he addressed a UN General Assembly session and signed $2.6 billion (20.9 trillion UZS) in deals with American corporate leaders. As the two countries explore the dimensions of their nascent partnership, many avenues of co-operation beckon, including securing Afghan peace and stability, fighting drug trafficking, and "implementing the first-ever Five-Year Plan of Military Co-operation", according to the White House. In addition, both countries recognise the great potential for economic dynamism if the world's biggest economy and Central Asia's most populous republic team up. 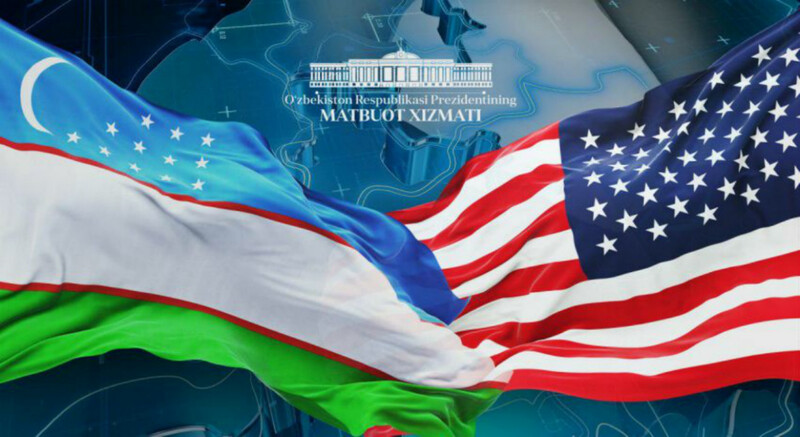 During Mirziyoyev's visit, Uzbekistani officials "signed over 20 major business deals with United States companies, which, if fully implemented, will be worth more than $4.8 billion [38.5 trillion UZS]", according to the White House. 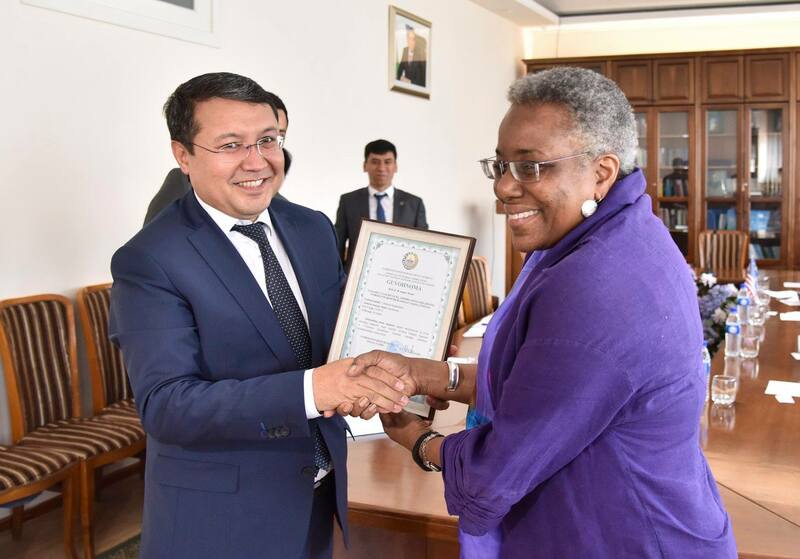 Agreements signed by Uzbekistani and US government and corporate officials covered trade, energy, finance, agriculture, science and education, according to Mirziyoyev's press office. The countries might be geographically far apart, but "diligence, generosity and patriotism bring our peoples together", Mirziyoyev said at a dinner reception May 16 in Washington. "Our meeting helped renew our strategic partnership, especially as we face emerging challenges and new opportunities for co-operation in Central Asia," Trump wrote in a letter addressed to the dinner guests. "I particularly respect President Mirziyoyev's efforts to support American supply routes in the region and his country's commitment to investing in economic projects that will improve connectivity with Afghanistan." "I know this is just the beginning of our renewed partnership and an even brighter future for our two nations," he said. Along with praise for the two countries' growing relationship was a joint commitment to the continuing reforms under Mirziyoyev. "Trump also recognised Uzbekistan's tremendous progress on important political, economic and social reforms," according to the White House description of their discussion, while Mirziyoyev called his country's progress "irreversible". Besides releasing prisoners and fighting "systematic child labour", Mirziyoyev "committed to implement a comprehensive roadmap to advance religious freedom", the statement said. The United States will help promote English language training in Uzbekistan, Trump pledged. He welcomed the recent accreditation of a Voice of America correspondent in Uzbekistan, something that Mirziyoyev's predecessor never did. "Together, we can continue to improve accountability and transparency in Uzbekistan, which will help level the playing field for American companies and promote job growth in both of our countries," Trump said in his message to the attendees of Mirziyoyev's dinner.